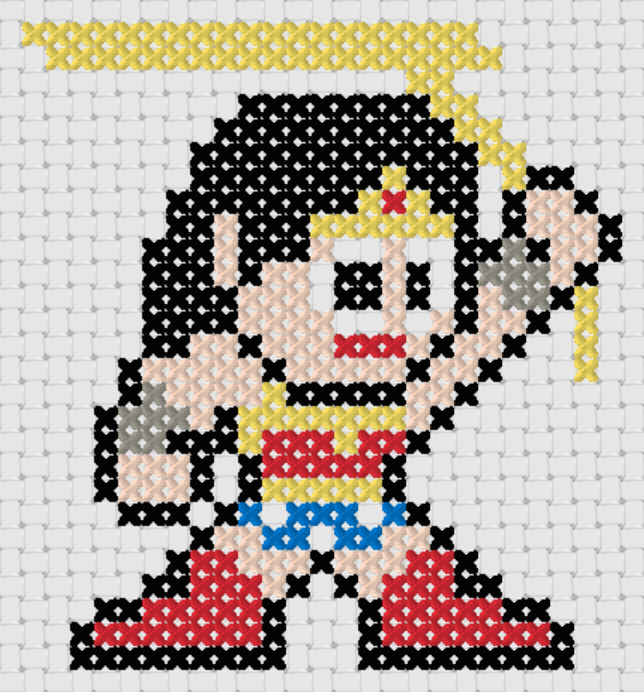 Justice League’s Wonder Woman is part of our Superheroes Edition and our special 40 Stitch Or Less collection. This small cross stitch design is also perfect for personalised greeting card projects such as birthdays and other celebrations. Each of our pattern conveniently includes a color key and sheet. If you use one of the free cross stitch patterns from CrossStitch4Free.com for a project, feel free to contact us and include a picture of your completed project to be included in our web site. Download this free superheroes cross stitch pattern zipped file (approx. 241kb — downloaded 37 times). The password for this download is “crossstitch4free” without the quotation marks.